If you want to contact the Airtel customer care, here’s your best chance. We’re providing you with the complete link of how to get an Airtel Customer representative to resolve any issue you’re facing. Airtel Nigeria has provided Millions of subscribers with Cheap tariff plans, amazing data plans and internet packages, cheap calls, etc. It’s no doubt that Airtel is one of the most popular telecommunication company in Nigeria today, serving millions of subscribers with so many goodies and packages. Providing Millions of Nigerians with different services, it’s no magic that there is a huge need to provide a customer support platform to provide help for customers facing one challenges or the other. Here are the best means you can quickly resolve any issue you’re facing on the Airtel Network. I discovered that the Airtel Customer service agents are always ready and available to provide credible answers to customer’s queries and complaints, most times, resolving the issue instantly. There is no need to overstretch this, you can get direct help from the Airtel Nigeria customer care number by dialing any of the numbers listed below. 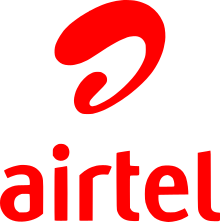 I discovered that dialing the Airtel customer care line is the fastest and most convenient way of making enquiries or complaints to Airtel representatives about their services and packages. Take note when you dial any of these numbers, you have to wait some minutes, before a customer service agent will pick your call. • Dial 111 or 121. This is for those who are calling directly from an Airtel Number. • If you’re calling outside Nigeria (international calls) simply dial +2348021500111 or +2348021500121 to get the Airtel Nigeria customer support. Airtel Nigeria provides excellent support through their verified Facebook page. You can easily contact the Airtel customer care on their Facebook page, send them a message, inquiry or complaint, and a customer care agent will reply you fastly. CLICK Here to reach Airtel NG on their official Facebook page. You can also choose to contact the Airtel customer care via their Twitter handle, simply tweet to @airtel_care or send them a Direct Message (DM). They usually reply within minutes. You can reach the Airtel customer support through their instagram page, although the network did not say they will be providing support through their Instagram handle. Airtel Nigeria currently have no Feedback form, you can use any other means to reach them, which are 100% recommended. You can reach the Airtel customer support through their support Email address. You can easily lodge your complaints or make enquiries by sending an email to this address: customercare@ng.airtel.com. Their email support is usually fast and quick. You will get a reply within minutes after your email is sent successfully. Do you have any pressing issue that needs you to send Airtel a letter? Here’s the Airtel Nigeria Headquater post office Address. I hope that you can easily get any help you deserved through any of the means shared below. With this guide, youcan quickly reach the network through the Airtel customer care number, email, Facebook, twitter, Instagram or post office address.